In 2016, more than half of all internet users bought something online. This figure is projected to grow moving forward as we push into 2019. This frequency of online shopping has retailers moving from the physical space and into the online realm. The problem? That means your eCommerce brand will face even more competition in the future. The need to stand out is no longer a nice-to-have. If you want your brand to earn more business, you can’t do what everyone else is doing. Design, layout, and flow matter for eCommerce in particular. After all, customers need to be able to use your site, find what they want, and actually place an order. If you want to increase conversions, your site has to obsessively cater to user needs. It’s time to overhaul your eCommerce website to be the most beautiful, intuitive, and simple. Only through amazing design and smart development will you find more customers and foster greater loyalty. 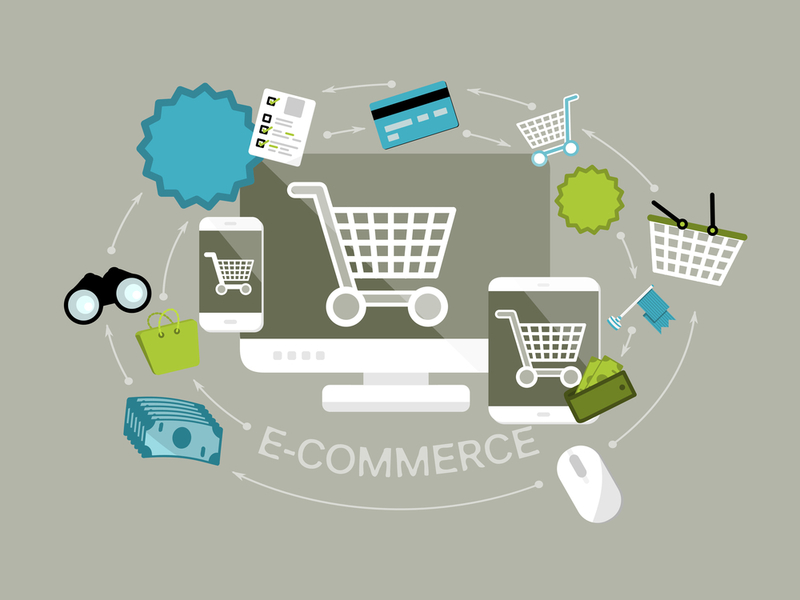 Here are our top seven must-haves for eCommerce websites. When you’re ready to overhaul your site, give Logical Media Group a call to do the heavy lifting! Most websites live and die by their load speeds. In an age where customers expect your site to load in just two seconds, many eCommerce sites have room for improvement. Every 1 second delay in load time decreases your chances of conversion by 1%. By minifying code, removing bulky page elements, and shrinking image sizes, you can easily speed up your eCommerce site. Don’t lose your hard-earned site visitors to a loading delay. Opt for simple, fast design wherever possible to keep more shoppers on-site. Social media is critical for eCommerce. Not only does it give you a line to directly interact with customers, but it can also function as a medium for customer service, testimonials, and brand stories. Make it crazy-easy for buyers to share your site on social media. Add social media share buttons to your product pages and blog, if you have one. But don’t stop there. Create a hashtag for your brand or product. Invite customers to share their product photos or selfies on social. You can even run contests to encourage users to amplify your product’s reach. Social is an easy win for marketing your eCommerce site on the cheap. 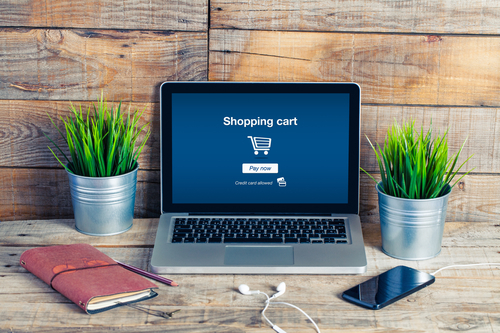 Don’t overlook this simple and affordable addition to your eCommerce website’s design. Online shoppers can’t see, touch, or interact with your product. But you want them to be as familiar with the product as possible. That’s why high quality photos are so important. Photos help buyers better understand the product. Multiple well-shot, well-lit images can make the difference between a sale and a bounce. Provide plenty of photos in your product listings. Take pictures from different angles. Highlight the packaging, product features, and even its use. While you can photograph the item with a simple white background, you can also try lifestyle imagery. These photos help users see the product in a real-life setting. For example, if you sell furniture, you might include photos of an end table in someone’s home. You can take lifestyles one step further with augmented reality (AR) features. Amazon recently rolled out an option for users to picture products physically in their homes. If you have the means, include this feature to help buyers see even more potential in your product. Imagine you’re looking for a mechanic. What’s the first thing you do? You might try a Google search, but you’ll likely ask friends and family for a referral first. This is the power of social proof. Buyers value what other buyers have to say. This works because an endorsement isn’t coming from the company, and instead from a happy customer. That builds your reputation and increases the chances for a purchase. Ratings, reviews, testimonials, and other social proof are essential for your eCommerce website. Add a feature that allows customers to rate a product natively on your site. And don’t be tempted to hide or remove negative reviews, either! The presence of negative reviews actually can build your credibility with the ever-skeptical buyer. Other forms of social proof, like testimonials and unpaid endorsements, also help push for purchases. Include testimonial quotes on your home page or even testimonial videos on product pages. Get a mix of official quotes from highly regarded organizations or influencers, along with reviews from average buyers. You might have the most amazing eCommerce website in the world. But all it takes is one glitch in the checkout process to lose your sale. You work hard to bring buyers to your site. Don’t let friction in your checkout process drive them away. Payment options: Let people pay with more than their credit card. Enable PayPal, Apple Pay, Android Pay, and more. This removes the tedious process of entering their credit card information. Include shipping: The number-one reason for abandoned carts is unexpected shipping costs. Offer flat-rate shipping, free shipping, or roll shipping into the cost of every item. Guest checkout: Don’t require a sign-in for checkout. This requirement alone can cause users to leave before purchase. Instead, offer a guest checkout option on your eCommerce website. Both desktop and mobile eCommerce sites have to be as simple as possible. You might be tempted to add detailed fonts, more colors, or huge images, but these features will only slow down your site. When it comes to eCommerce website design, simple and sophisticated is best. Design your navigation with small screens in mind. Make sure all buttons are sized appropriately for thumbs. Check that your images scale by user device. Your products should be well-organized and easy to understand. Create a product hierarchy that makes sense for your brand. Be sure to have no more than six main parent-level categories. It’s good to give customers choice, but too many choices decrease buyer focus. Product listings should be the meat of your eCommerce website. Every page should be chock-full of relevant, accurate, and helpful information about your products. Remember, your goal is to help your customers make quick decisions. Since you don’t have physical salespeople to help customers, your product listings have to do the work for you. Add important details like product size, materials, dimensions, weight, and color options. Highlight product benefits with bullets for easy, fast scanning. Product listings are a chance to increase your amount per order. Add a “related products” section to each product. For example, if you sell beauty products, you might suggest a hair straightener to someone who just bought a curling iron. Shoppers already prefer eCommerce. Now it’s just a matter of how competitive this preference will make the eCommerce space moving forward. As we veer into 2019, it’s time to revamp your site to get more purchases. Create a simple, inviting eCommerce website to sell more products with less effort.